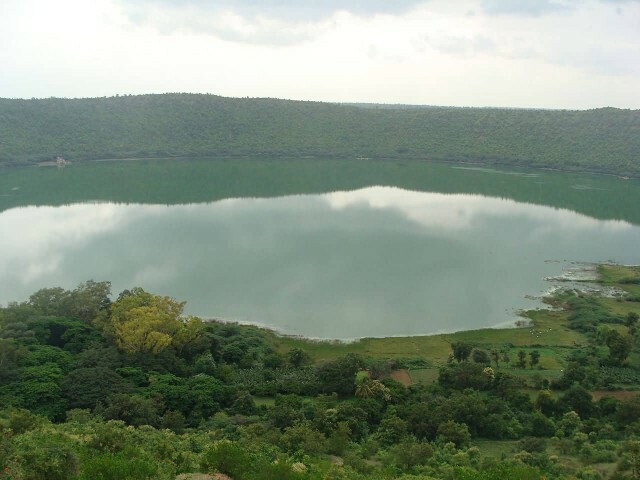 Lonar Lake is a saline soda lake and it is located at Lonar in Buldana district, Maharashtra, India. 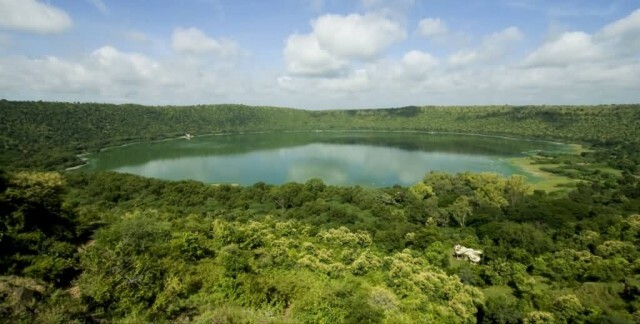 Lonar lake was created by a meteor impact during the Pleistocene Epoch. This lake, which lies in a basalt impact structure is both saline and alkaline in nature. A series of low hills surround the lake which has an oval shape (almost round). 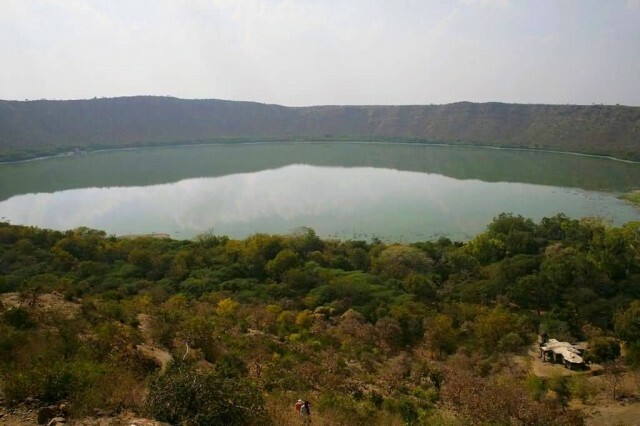 Lonar Lake has a mean diameter of 1.2 km and is about 137 m below the crater rim. Around the lake many types of trees are spread like teak, tamarind, babul etc. Muddy space is several hundred metres/yards broad and covered with a whitish slimy soil. The water of the lake contains various salts or sodas and during dry weather when evaporation reduces the water level, large quantities of soda are collected. 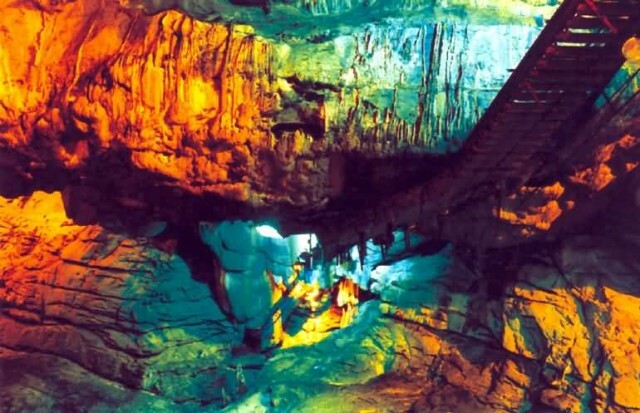 The Borra Caves are located in the Ananthagiri hills of the Araku valley in Andhra Pradesh. 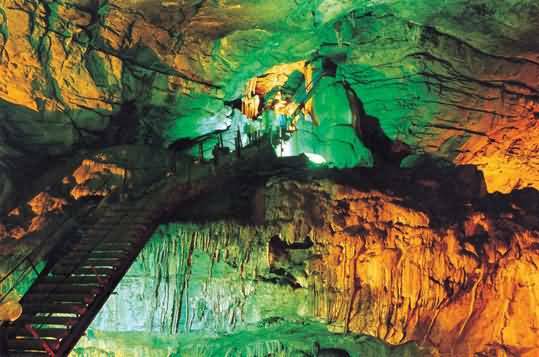 The Caves are basically Karstic limestone structures extending to a depth of 80 m. It is considered as the deepest cave in India. In 1807, William King of the Geological Survey of India discovered the caves. The cave measures up to 100 m horizontally and 75 m vertically. Stalagmite and Stalactite formations are found in the caves. 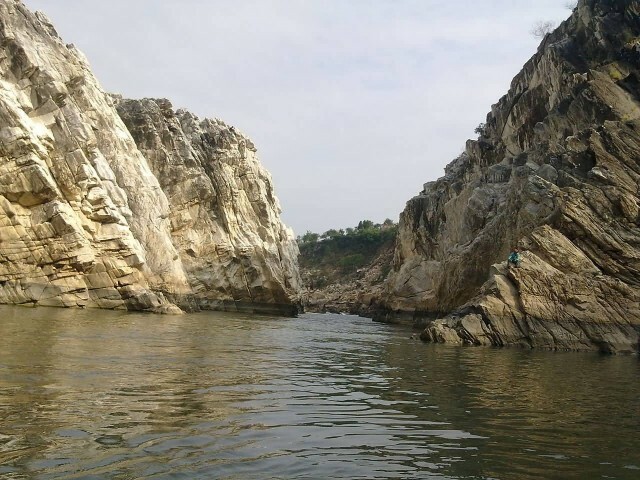 A walk around the caves provides an impressive view of the mountainous area which is rich in flora and fauna. 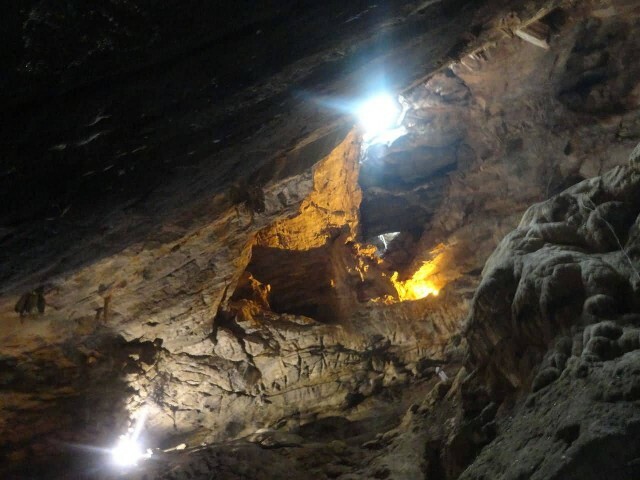 The Andhra Pradesh State Tourism Department has installed 26 mercury, sodium vapor and halogen electric lamps, which provide beautiful views of the formations. 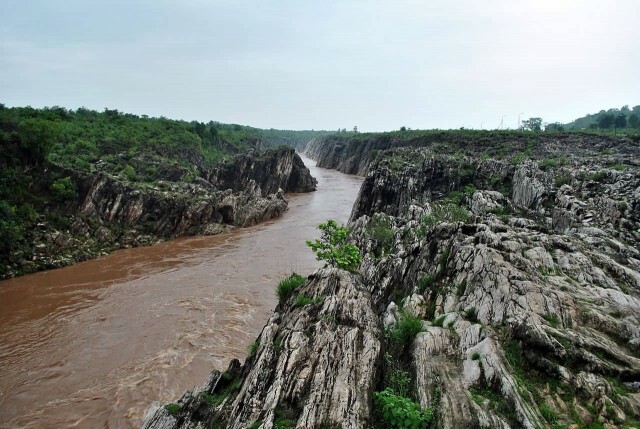 The Marble Rocks is an area along a river in central India near the city of Jabalpur, Madhya Pradesh. 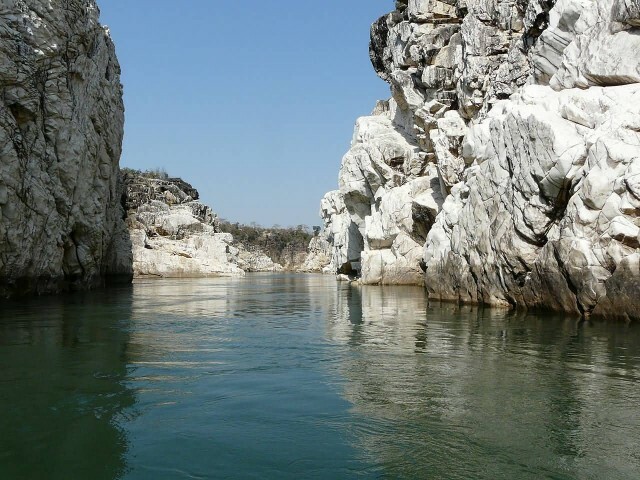 The river has carved the soft marble, creating a beautiful gorge of about 3 km in length. It is a popular Indian tourist destination. The local marble is mined and carved into various figures and transported all over India. The area is also rich in blue and brown colored marble. The area has many tourist activities. There is a cable car to take visitors across the gorge, row boats for guided tours of the river downstream of the falls and many small shops filled with crafts made from the local materials. Majuli is a large river island in the Brahmaputra River, Assam, India. The island had a total area of 1,250 square kilometres but having lost significantly to erosion it has an area of only 421.65 square kilometres. 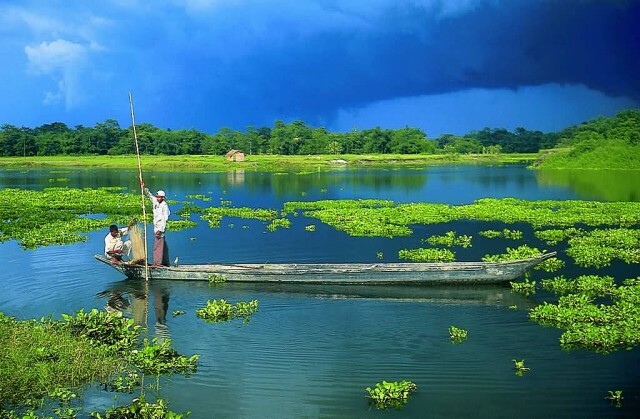 Majuli is an island, it is always a wet place.The southern part of the island is a bird lovers paradise. Between November and March is the best time to visit this place. 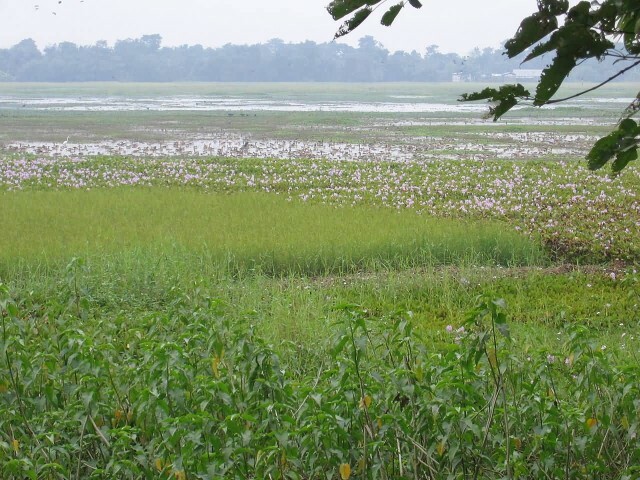 Majuli is a hotspot for flora and fauna. Rare and endangered fauna species including migratory birds that arrive in the winter season. 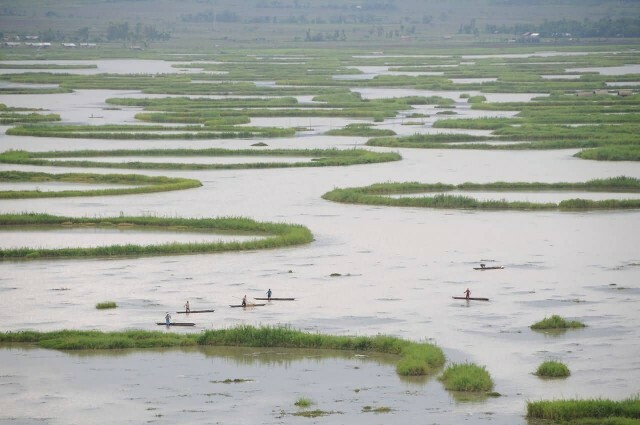 Loktak Lake is the largest freshwater (sweet) lake in North -East India and it is famous for the phumdis floating over it. It is located near Moirang in Manipur state, India. Keibul Lamjao the only floating national park in the world floats over it. 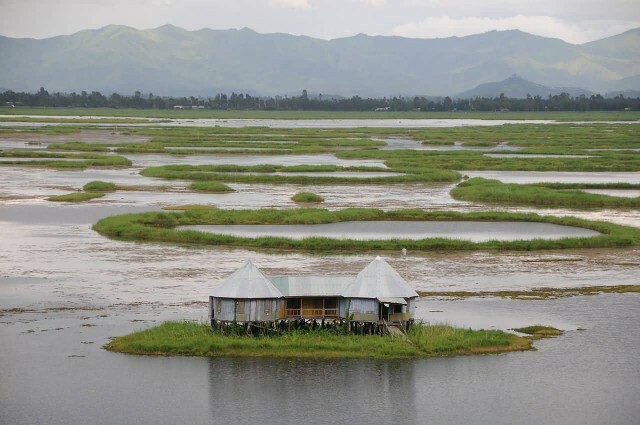 It is located near Moirang in Manipur state, India. 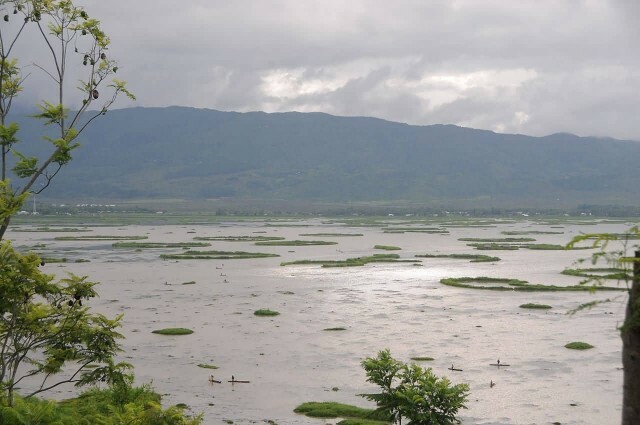 This ancient lake plays an important role in the economy of Manipur. It serves as a source of water for hydropower generation, irrigation and drinking water supply. The lake is also a source of livelihood for the rural fisherman who live in the surrounding areas. The Sendra Tourist Home on the island with an attached Cafeteria in the middle of the lake is an ideal tourist spot.